Grew Up... unhappily. As the son of a dog demon and a human mother – both now dead, by the way – Inuyasha was accepted by neither demons nor humans. Even his half-brother, Sesshoumaru, rejected him for being a shameful half-demon. Because being a half-demon caused so much pain for him in the past, Inuyasha now seeks the Jewel of Four Souls, a powerful relic that empowers demons and could turn him into a full-fledged demon. Living... on the Tree of Ages, where he was trapped by the high priestess Kikyo 50 years ago. Kikyo, the guardian of the Jewel of Four Souls, shot Inuyasha through the heart with a magical arrow when she caught him trying to steal the jewel, and he's been stuck there ever since. However, he's recently been freed by Kagome, a schoolgirl who also happens to be the reincarnation of Kikyo. Visiting... wherever Kagome leads him. Since she's the only one able to retrieve the Jewel of Four Souls, Inuyasha is grudgingly accompanying Kagome on her travels. Profession... demon slayer, somewhat ironically. Even though Inuyasha wants the Jewel for himself, he will gladly use his special technique, “Iron Reaver Soul Stealer,” to cut down any other demon who seeks its power. Of course, this is entirely in order to get the jewel for himself – definitely not to save the world or protect Kagome. Interests... being accepted. When it comes down to it, Inuyasha might insist that he's only after the Jewel for selfish reasons, but all he really wants from its power is to gain the approval of those who shunned him. Relationship Status... complicated, and only getting more so. 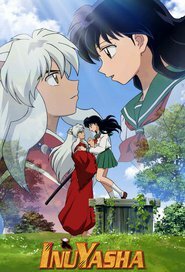 Inuyasha was once in love with Kikyo, but the high priestess betrayed him, causing Inuyasha to go after the Jewel of Four Souls in retaliation. Now, however, he has to deal with Kikyo’s reincarnation, Kagome, and he's still unsure what he feels about her – or if he can even love again. Challenge... reassembling the Jewel of Four Souls after Kagome accidently shatters it. Inuyasha would rather go after it by himself, but he's stuck with Kagome since her status as Kikyo's reincarnation makes her the only one able to sense the other pieces of the jewel. Personality...“rough, rude, and mean,” in Kagome’s words. Inuyasha is arrogant, prideful, and stubborn. However, he does have a soft side – though he'd really rather not show it to anyone – and he will fight to protect Kagome, whom he cares about more than he will admit. Inuyasha's popularity ranking on CharacTour is #327 out of 5,000+ characters. See our top-ranked characters and read their profiles.